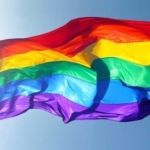 Following the Constitutional Court’s ruling from September 2018 that banning the gathering of the LGBT community in Nikšić in 2015 violated the right to peaceful assembly of members of organisations LGBT Forum Progres and Hiperion, the Supreme Court of Montenegro was deciding again on the ban. Although this time the Supreme Court accepted the arguments of the plaintiffs supported by the Constitutional Court and reversed the judgment of the Administrative Court, the Supreme Court returned the case back to this court for a re-trial, although it could had reversed the judgment by substituting its own decision, and permanently ended this court process that had already lasted far too long. 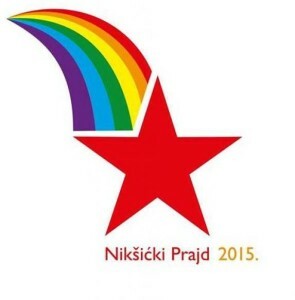 The Human Rights Action (HRA) represented in this case LGBT Forum Progres and Hiperion, organizers of the planned gathering in Nikšić, which was prohibited by the police. 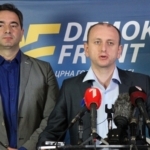 “We expected the Supreme Court to end this procedure in which the Constitutional Court already established that the Police Directorate, Ministry of Interior Affairs, Administrative Court and Supreme Court had not acted in accordance with European standards of freedom of peaceful assembly. Reversing decisions by returning them to be re-determined although the legal issue had already been resolved by the Constitutional Court, and accepted by the Supreme Court, means that the final exercise of the rights of plaintiffs continues to be unnecessarily delayed and jeopardised. 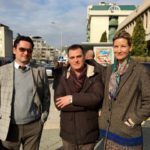 This case has already shown that the legal protection of the right to peaceful assembly in Montenegro is ineffective, contrary to the European standard requiring that a decision challenging the ban of a gathering should be issued urgently up to the date of planned event,” said Tea Gorjanc-Prelević, HRA executive director. 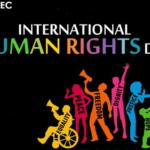 We recall that the Constitutional Court of Montenegro on 24 September 2018 found that the ban on holding a gathering in Nikšić for security reasons, due to threats from soccer fans and the Communist Party, to the applicants of the constitutional complaint, to LGBT Forum Progress and Hyperion, violated the freedom of peaceful assembly guaranteed by Article 52 of the Constitution of Montenegro, Article 11 of the European Convention on Human Rights and Article 21 of the International Covenant on Civil and Political Rights. The Constitutional Court did not accept the position of the Supreme Court on “the broad scope of margin of appreciation of the state in this case”, but concluded that the ban ”had not been necessary in a democratic society” and that ”groups threatening with violence must not be allowed to suppress freedom of peaceful assembly”.